Hair Transplantation without Linear Scars, Staples or Sutures. -Hair Restoration for thinning hair for Men and Women. -Loss of hair or thinning of your brows. To many, a full head of hair represents attractiveness and desirability both personally and professionally. For this reason, it is vital to understand what effects a hair restoration procedure can have on your daily interactions with people and in all other aspects of your life. Hair Restoration should be unnoticeable to all, but those you tell. The facts are that 50 million men and about 30 million women suffer from male/female pattern baldness or thinning hair. Due to the current job market competition and escalating social media, awareness about hair loss seems to be at an all-time high. The good news is that with today’s minimally invasive hair transplant techniques results couldn’t be more natural. Many potential patients shy-away from (or are not candidates for) the traditional “strip method” of hair replacement because of the slow recovery time, the loss of feeling at the incision site, the tiny linear scar on the back of the head, or the amount of post-operative pain involved. This game changing technology uses the Follicular Unit Extraction (FUE) method utilizing the NeoGraft Automated Hair Transplantation System, a much more desirable option because of the vast benefits this less invasive technique offers. 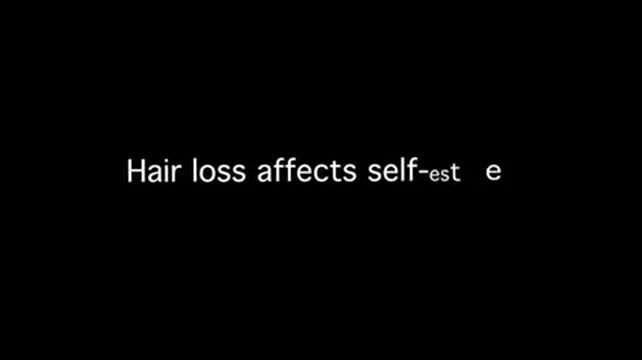 The FUE method removes individual hair follicles from the scalp in their naturally occurring groupings of about 1-4 hairs and are then placed in the areas of the scalp where balding has occurred.